THE ADVENT OF the Common Agricultural Policy across Europe led to the oversupply of certain agricultural produce in the late 70s and early 80s. The shorthand for this oversupply was “butter mountains”. That name was actually somewhat accurate, however, as it led to butter being available cheaply across Europe. 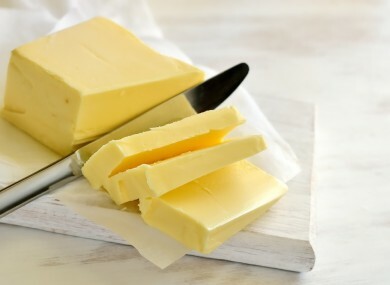 In Ireland, a pound of butter would have set you back 83 pence in 1983. By 1984, Superquinn would sell you a pound of the yellow stuff for 52 pence if you had a voucher. Of course, this was feted by the government of the day, but not everyone felt it was the need to for much parading. None felt more strongly about this than a Liam Ennis of Dublin, who put pen to paper to inform the Taoiseach (sarcastically) of his good fortune. A letter to Gareth and Superquinn. “Well I got my one pound of EEC butter today. The whole family were delighted when I brought it home. We don’t watch TV anymore now. We put the pound of butter on the table and look at it. Thanks Gareth, thanks Superquinn, you have really made my Christmas. You can taste the sarcasm. Email “This is the most sarcastic letter ever written about butter to a Taoiseach”. Feedback on “This is the most sarcastic letter ever written about butter to a Taoiseach”.